San Diego Therapeutic Garden Design is one of the latest trends our evolving world as a means to find some elements of relaxation and a vehicle to de-stress. Many people have some inkling that being in a garden, a forest, hiking in the foothills or even visiting a garden center has a lasting beneficial effect to one’s sense of well-being. As I’ve come across many people who have never heard of the term Landscape Architect; now one of the newest forms of garden design is for Therapeutic Gardens. It’s no coincidence that as our world spins faster and faster with technological advances at break neck speeds that our need to decompress is at an all-time high. We, as a culture, simply cannot continue at this pace without time to recharge our batteries, reduce out heart rates and blood pressure, reduce depression and literally take time to smell the roses (or the sages or jasmine). 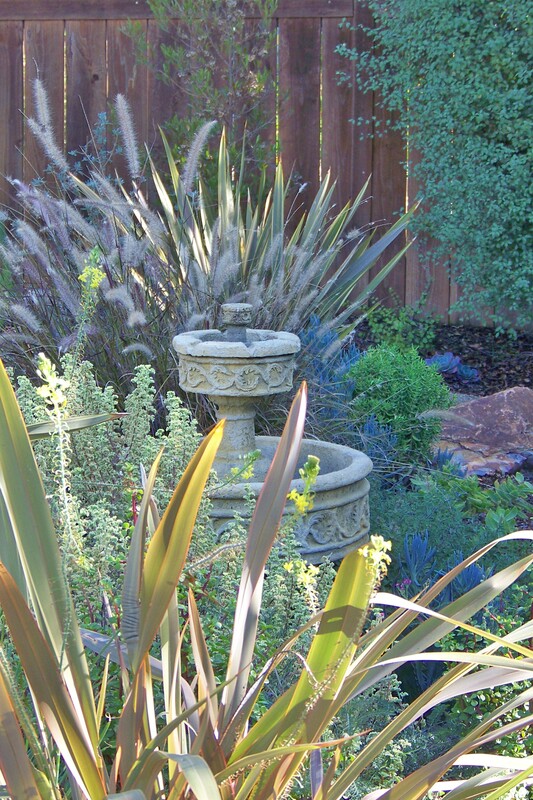 San Diego Therapeutic Garden Design has evolved into a growing enterprise within the landscape industry. The American Association of Landscape Architects now has a Health Care and Therapeutic Design professional network of those who are certified in creating these much needed spaces.In San Diego a few such local gardens do currently exist. 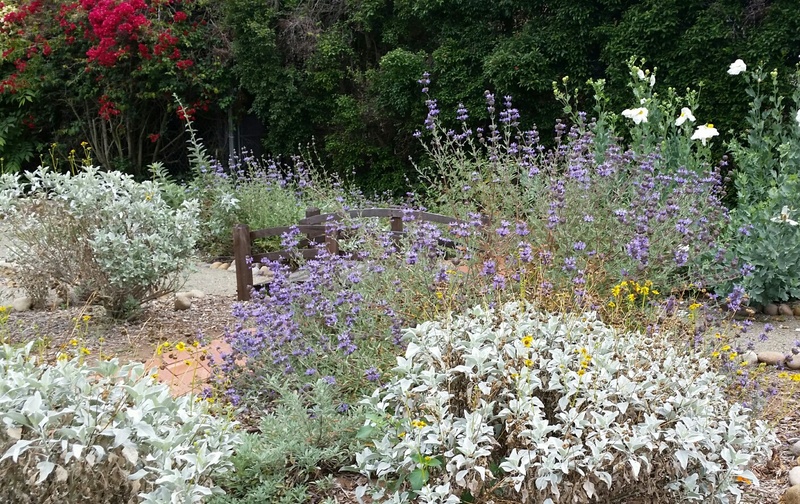 One is at the San Diego Hospice of which the garden creates a setting where family members or a patient can sit and reflect as well as the staff that needs to recharge. The garden has sitting areas, pathways to wander and a great view of the ocean. Also nearby is the Mesa Vista Psychiatric Hospital which treats those with substance abuse. Patients can enjoy nature walks while in recovery. Water features and koi ponds are focal points along with sitting areas, pathways and even a labyrinth for meditation. This type of Horticultural Therapy has been around for decades, but seems to be making resurgence today. In the past hospital studies have shown that patients who have a view of trees or greenery heal faster than those who do not. Research has shown that even 3 to 5 minutes of viewing trees, flowers and nature can reduce anxiety, anger and induce relaxation. With all the buzz of “mindfulness” and the now mainstream practice of meditation, San Diego therapeutic garden design may be the next big wave of the future. Even indoor plants have proven to increase worker productivity. I came across an article recently about the Japanese practice of Forest Bathing or Shirin –Yoku. Claiming to be a “bridge to happiness”, many Japanese seek refuge from urban living to spend time in the forest without their mobile devices to allow themselves a chance to connect with nature. • Sensory stimulation, i.e. fragrance, touch, texture, etc. A goal of any landscape designer is to create an environment for the clients to spent time outdoors appreciating the multitude of sensory experiences whether it be the soothing sound of running water, or a hummingbird darting by to indulge on the nectar of key flowering plants, the quiet relaxation of resting in a hammock under a shade tree or the subtle fragrance of a nearby rosemary shrub. All of these elements serve to slow us down, to relax, take notice of our natural environment, to simply let go and just be one with nature. These benefits to our physical and mental health can have long lasting effects in our longevity, our sense of purpose and out long term outlook on happiness. 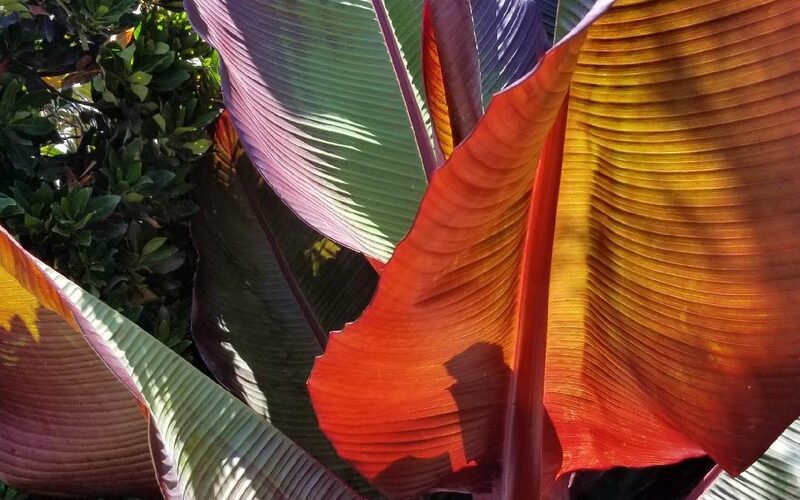 Careful planning of your San Diego Therapeutic Garden Design by those who understand the benefits of working with plants, nature and the need for healing may be exactly what is missing in your existence. Contact Letz Design Landscape for a consultation on how to improve your experience with nature and start a landscape wellness program today to ensure a long lasting and healthy future.